- Evans was recently arrested by Kyari and his team - He said that Evans only faced the media twice contrary to some interviews he purportedly granted the newsmen. 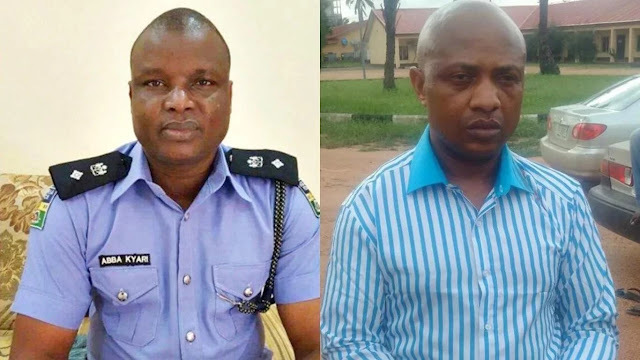 The Assistant Commissioner of Police, Abba Kyari who led the Special Intelligence Response Team (SIRT) of the Lagos state police command that arrested notorious kidnap kingpin Chukwudubem Onwuamadike popularly knows as Evans has declared that about ninety percent of information being reeled out about Evans on social media is false. NAIJ.com reports that the senior police officer said that just like most Nigerians; he woke up every morning and hear different false stories on social media pertaining to how they arrested Evans and what he said. In a message on his Facebook page, Abba Kyari said: “Friends: There is a need to clear the air on some issues that are misinforming/misleading the good members of the public who are passionate about fighting crime. 90% of information shared about Evans is false - Abba Kyari declares “First, 90 percent of all information relating to the arrest of Evans and what Evans said that's being shared on social media and some print media are false. “Just like most Nigerians, I wake up every morning and hear different false stories on social media pertaining to how we arrested Evans and what he said. “Second, the actual strategy and technology we used in arresting vampire, Evans and other big kidnappers are known to only me and very few senior officers I am working together within the FHQ. “Third, someone like Evans would never have been arrested based on the few technics that were officially mentioned or the ones circulating in social media which are actually technics already known to criminals. “We've gone ahead of those technics. Our real strategy and technology used in picking Evans and his gang members have never been mentioned to the media or members of the public, and will never be mentioned. “Fourth, Evans faced the media twice; first when he was paraded in the Lagos command HQ by the Force Public Relations Officer and secondly when he took the detectives to his detention camps in Lagos for the world to witness him taking the police to his camp that only him and his boys know. This is so that in future he cannot deny acquiring and operating kidnapper's detention camps in Lagos. Please, I urge members of the public to focus more on what they see or hear from major newspapers and television stations who have names to protect and avoid the avalanche of lies and fictions that are coming out from blogs and social media every day. Fifth, “Yes we agree Evans is the biggest and most notorious criminal arrested during the social media age in Nigeria, but there should be some degree of decorum and honesty in reporting news, please. Many thanks to all our friends and well-wishers, may the Almighty bless us all in our endeavours. NAIJ.com had previously reported that Evans dragged the Inspector General of Police, Ibrahim Idris and three others before the Federal High Court in Lagos over alleged illegal detention.